In the year 2019, Disney will own you. Prepare your wallet now, because they are going to be making it rain with your money. I guess that's not that big of a shock. I mean Disney always seems to be making it rain with all of our money. Especially since they have inquired on Marvel, LucasFilm and Pixar. 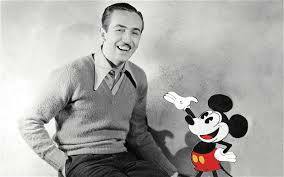 I wouldn't be surprised if sometime very soon, Disney buys everything and we become the United States of Walt Disney. I think as far as 2019 is concerned, the releases are so cool and so high-profile that they are sparking some huge conversation. "Star Wars: Episode Nine" will be released in 2019, aiming for a May 26th release. Too bad, I have grown rather fond of Star Wars at Christmas time, but I will learn to live with it. I don't care that they are changing the season. With the pact schedule Disney is proposing in 2019, its got to be hard to not compete with yourself. "Frozen 2" will be released in November 2019, and the box office returns for that will be enormous. I know. I work at a daycare center. The original "Frozen" was four years ago, and still, you'd think the movie was released last week. Just merely going off of how young girls still sing the songs and are manically obsessed with Elsa, Anna and Olaf. We also know now that a new Indiana Jones movie was pushed back to 2020 to make room for Jon Favreau's "The Lion King." Yep, after "Cinderella," "The Jungle Book" and "Beauty and the Beast," we will be getting the live-action "Lion King" treatment next. Favreau directed "The Jungle Book" and I love that movie unreservedly. So I am betting Favreau does more incredible work here. The new Indiana Jones should be interesting, since Harrison Ford will be in his 80's by then. So three big releases for Disney in 2019. That's not even mentioning that we will be getting "Avengers 4" that year, May 3rd to be exact. "Toy Story 4" is coming in June and "Captain Marvel" will be in March. So yeah, start saving up right now, Disney will be taking your dollars left and right. Even if your company has been established, it's still true that you will need to examine your advertising strategies and adapt them with the present circumstance to watch 1974 | Free Movies & TV Shows Online - Putlockers - Putlocker.cash.